What Is Petitgrain Essential Oil? I’m sure we’ve all experienced a minor cut or wound at some point and treated it by applying some chemical antiseptic agent and a band-aid or two. Only to find that the wound becomes yellowish or hurts even more after doing so! Then you have to go a doctor to get a painful injection or sometimes even use antibiotics to kill off the or reduce the risk of infection. In some cases, it can lead to fevers and other diseases if not treated correctly! This all sounds like a terribly expensive, painful and risky procedure and one that can be avoided if we turn to natural solutions for our problems. The case I’m trying to make is not a drastic one, in fact it’s quite straightforward – utilizing natural products to treat our ailments as opposed to going the chemical route. One of the most handy tools for doing this is the wide range of essential oils that are available on the market these days. 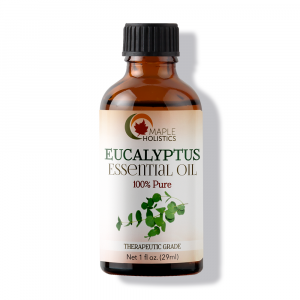 Along with a selection of other natural treatments, they can be used to treat a wide variety of issues and problems. One of the top essential oils that I would recommend for treating superficial wounds and enabling faster skin cell regeneration is Petitgrain oil. Petitgrain has been used for centuries to treat wounds and remove harmful bacteria (such as the Staphylococcus Aureus bug that can lead to dangerous infections). It helps to relieve you of stress and anxiety as well as a natural sedative for those struggling with sleep issues. 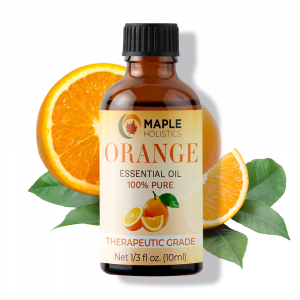 This really is an amazing natural oil and I hope to explain more to you in the article below to clear up any doubts you might have regarding this amazing essential oil. What Is Petitgrain Essential Oil And Where Does It Come From? The petitgrain oil is derived from the leaves, twigs and the skin of the bitter orange fruit. The bitter (or Seville) orange tree is actually native to parts of Southeast Asia, but was spread to many parts of the world by the Spanish in the 16th and 17th centuries. The trees are now cultivated in Spain, parts of France, Florida and Paraguay and are generally used for the production of the essential oil. In some cases, it is to make the well known marmalade that has become a regular treat during winter months as a way of raising blood pressure (take note if you suffer from high blood pressure) and adding flavor to a variety of dishes. Petitgrain oil is somewhat similar to Neroli oil, but does not have the same aromatic or chemical properties of Neroli – even though they’re both derived from the same tree. The petitgrain oil is derived from the leaves, twigs (or small branches) and the skin of the bitter orange fruit which comes from the tree. The bitter orange as a fruit is not really suitable for consumption in its raw form or even as a juice because it contains high amounts of limonin and limonoids. This causes the fruit to have a higher acidity than its cousin – the sweet orange. Which is the most popular form of the fruit and is the one you’re probably most familiar with. The oil is extracted through a process known as steam distillation, which is the oldest means of extracting oil from organic substances (has been used since the Bible times). It’s still one of, if not the best means of extracting the oil from organic matter as it produces the highest quality of oil and removes all the impurities from the finished product – making it safe for topical application and general ingestion. In this method, the skin (or rind) of the fruit is crushed, along with the leaves and small twigs of the tree in order to release the chemical compounds that will later be extracted. They are then placed in a chamber that is connected to a separate chamber with water via copper or glass tubing. The water is then heated (either electronically or with fire) in order to produce steam. The steam then passes into the chamber where the organic matter is contained and extracts the essential vitamins and phytonutrients from the plant material through the process of evaporation. This vapor then passes through another tube and enters a final condensation chamber. The vapor gathers to form droplets which collect at the base of the chamber and form the final product – the essential oil. Petitgrain oil is much cheaper and easier to produce at home than Neroli oil as the leaves, twigs and rind of the fruit are more accessible and easier to harvest than the flowers of the tree, and are also more potent – i.e. you need less rind and plant matter to produce oil than you do flowers. What Does Petitgrain Oil Smell Like? The scent of petitgrain oil is somewhat less sweet and floral than Neroli and can be considered a fixative scent. Although not as widely used as Neroli oil for aromatic purposes, petitgrain oil is used as a lesser ingredient in certain perfumes. Mainly in aftershaves or colognes for its strong antibacterial properties and musky, almost woody odor. The scent of petitgrain oil is somewhat less sweet and floral than Neroli and can be considered a fixative scent. This means that it can be used as a base ingredient for the mixture of ingredients to create a new scent and has a longer lasting, less noticeable scent than other top note scents such as Neroli, Rose or Lemon oil. Petitgrain essential oil works very well as a natural hair conditioner and can be used on its own or added to your normal shampoo or herbal shampoo for added antibacterial effect. 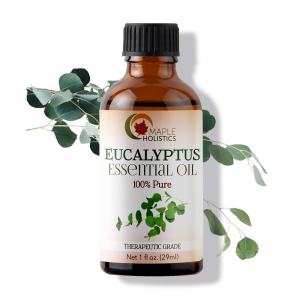 This will leave your hair feeling and smelling fresher and remove any excess sebaceous oil that your scalp produces, leaving your hair feeling oily and greasy – which no one wants! 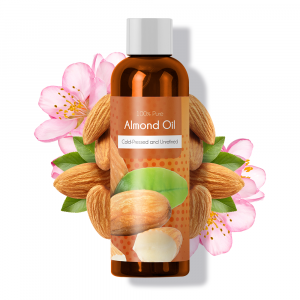 Another benefit of petitgrain oil is that it can be blended quite easily with other oils such as almond or orange oil to help to reduce hair loss in both men and women. petitgrain oil has a high content of Linalool and Limonene which are quite effective in reducing the amount of sebaceous oil that your scalp produces. They also act to inhibit the production of a chemical known as 5 alpha -reductase, which occurs in men and is one of the main contributors to male pattern baldness. The reductase occurs when testosterone builds up under the scalp. Over time, it is converted into the 5 alpha compound which effectively blocks up your pores and starves your hair follicles of essential nutrients, causing them to become weak and eventually fall out. The active chemicals in the petitgrain oil help to reduce the formation of the 5 alpha reductase, therefore allowing your hair to receive more nutrients and vitamins from within the roots – making them stronger from within. Your scalp will also be able to grip the hair follicles better, giving them a better grip and making them stronger in general. The natural antispasmodic properties of petitgrain oil can help to reduce stomach aches and cramps and increase your bodies ability to digest food – making it a natural digestive. By loosening the muscles and tissue that are responsible for allowing your food to digest, it helps your body process the food faster and relieves stomach pain or cramps often related to indigestion. The oil can be diluted with a suitable carrier oil such as coconut or olive oil and ingested orally (roughly 2-4 drops maximum) or can be inhaled to effectively treat digestive problems. The oil can also be used to help suppress your appetite and help you lose weight. However, a doctor should always be consulted when utilizing the oil for weight-loss purposes as you need to make sure your body is still receiving the correct amount of other vitamins and nutrients. The fruit and rind of the bitter orange contain loads of chemical compounds such as flavonoids, limonoids, linalool, linalyl, geraniol and a natural form of acetate that make them incredibly strong natural antibiotics. They can be used to treat a variety of illness and diseases that are commonly treated with harmful antibiotics. In contrast to normal antibiotics, the natural compounds of the petitgrain oil strengthen your immune system while killing off unwanted bacteria. Unlike the napalm-like effect of antibiotics which kill off all the cells they come into contact with and leave you more vulnerable to further infection or disease and slow down your healing process dramatically. The petitgrain oil can be added to juices or smoothies, ingested in its natural form or even inhaled through steam treatments to help rid your body of unwanted toxins and bacteria. It also strengthens your body’s overall immune system and energy levels, allowing you to fight off disease more effectively. However, it’s important for me to state that the oil will not simply work by itself and a healthy, balanced diet should be maintained in order to prevent or fight general disease and infection. I also recommend incorporating a lot of raw, natural yogurt into your diet during your illness as a means of increasing your bodies probiotic count – giving you stronger defenses against bacteria and illness. The chemicals can kill and ward off unwanted bacteria helping remove infections such as athlete’s foot. The same chemical compounds that make petitgrain essential oil so effective as a natural antibiotic also make it effective as treatment for skin irritations and fungal infections. The chemicals contained in petitgrain oil can kill and ward off unwanted bacteria helping remove and ultimately prevent infections such as athlete’s foot. So if you’re a keen runner, or workout at the gym on a regular basis, keeping a vial of petitgrain essential oil in your car or gym bag is essential to healthy and infection free skin. Simply rub a bit of the oil into your feet after showering (or even directly after exercising) to kill off any bacteria that may cause infection and to treat an infection that may already be forming. It’s cheap, healthy and very effective – so definitely worth a try. The oil cuts through any excess sebum oil that may form on the surface of your skin and helps to remove any dead skin cells. The same antimicrobial and antibacterial qualities that make petitgrain essential oil suitable for treating wounds and insect bites (as I mentioned in the opening paragraph) make it highly effective as an acne treatment. The oil cuts through any excess sebum oil that may form on the surface of your skin and helps to remove any dead skin cells that occur on a daily basis due to free radical damage and the natural regeneration process of how our skin grows. 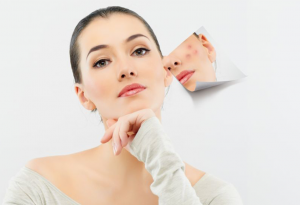 Free-radicals are molecules that our skin comes into contact with on daily basis. Whether it’s through exposure to the sun, fatty foods we might eat or even a particular medication we might be on, they all have a degenerative effect on the quality of our health and skin. The strong antioxidants contained in petitgrain oil help to capture and remove the free-radicals before they can do any damage to your skin (so long as you use the oil regularly as a form of treatment). 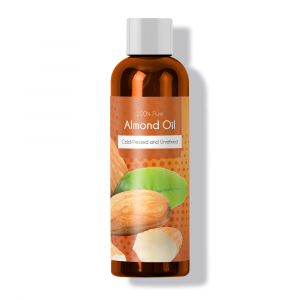 The oil also has a low comedogenic rating, so it won’t clog your pores and cause further blemishes to form which makes it a wonderful natural conditioner. To use the oil, I recommend washing your face with warm water first and (if you have a predominantly oily skin type), use an antibacterial face scrub (simply mixing a teaspoon of sugar, with a teaspoon of tea tree, argan or eucalyptus oil will also do the trick) and then rinse your face with warm water. Once this is done, apply the petitgrain oil to your face with a clean cotton swab and wipe it over the affected areas on your face. You can leave the oil in overnight or wash it off with warm water – it’s up to you. However, as a rule of thumb, I generally recommend that those with oily skin types rinse the oil off, as we tend to produce a large amount of oil when we sleep. Learn about other essential oils such as Peppermint Essential Oil and Apricot Kernel Oil here at the Maple Holistics Blog! In general, I always recommend essential oils to friends and family for a variety of ailments that they tell me about. I’m secretly trying to get everyone off most pharmaceutical products because essential oils really work. In fact, I recently managed to get a friend off tranquilizers by offering them a mixture of lemongrass and petitgrain oil to inhale once a night or to use in a steam treatment. After a month, they had kicked the prescription (if you didn’t know, over the counter tranquilizers are incredibly addictive and can really turn you into a zombie). I’ve only ever had good results from natural products and, if you do your research correctly – you should too. You’ll lead a healthier life and save tons of money on medical costs, let alone reduce the risks you have of developing a nasty addiction or a spew of harmful side-effects. As a rule of thumb, you shouldn’t use essential oils while you’re pregnant and always be sure to consult a doctor first when using them on a child under the age of 6. They’re safe and completely non-toxic, but we always recommend being sure for those ‘just-in-case’ moments.